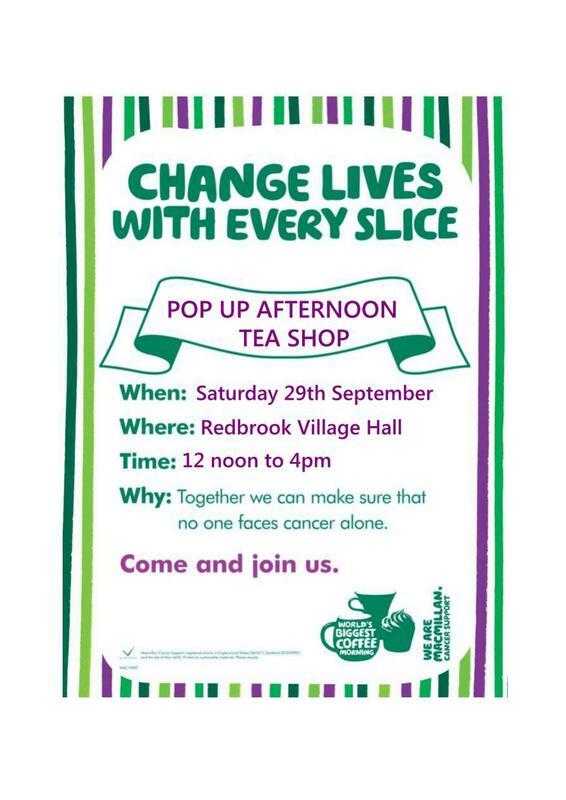 Redbrook has its very own occasional drop in, pop up tea & coffee shop in the village hall, that anyone is welcome to attend. We would also like to offer a massive thank all those who contributed or attended the previous Macmillan Coffee shop, as over £500 was raised for this great cause. For more details & donations of cakes & savouries that are wanted for this September event, please contact Val or Jacqui.